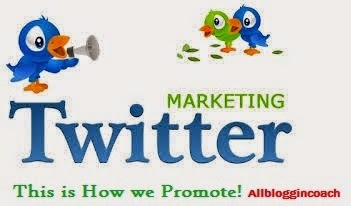 Twitter marketing has proven to be almost the best medium to market one’s product amidst the social media platforms. As at early November 2013, Twitter had more than 235 million active monthly users, 60 million of which were in the United States. And this actually makes twitter a very powerful marketing tool, if you know how to get your way round it(twitter marketing). But now, how can you take the leverage of this very popular 140-character social media site, to drive massive traffic to your websites and generate lots of sales and led to ones business. Research has been made, and tips have been gotten from twitter experts on how to successfully market your business on twitter, which we all called twitter marketing. Therefore, below are the researched ways by which twitter marketing can get your products on board. In every marketing campaign, the first people to help you build your brand are those close to you. I.e. the help should come internally. Make sure your coworkers are following you on Twitter and tweeting, retweeting, engaging, etc. The secret to great tweet visibility is your constant presence on twitter platform. Regular tweeting is a sign of an active, healthy profile. If you only tweet once a week, or once a month, you aren’t keeping up with the Joneses [or the Twitter equivalent]. Worse, folks will forget about you, but when you tweet several times a day, your followers will be eager to get more from you and especially when your tweets are of great benefit to targeted followers. This is a very good method to get one’s product out there through twitter marketing because I have tested it several times. It has been confirmed that tagging your posts with one or two relevant or trending hashtags will definitely help to reach new users. Make sure your target audience are not been spammed and that the goal is to provide value that establishes trust and credibility. Then keep your words fresh, don’t pass across a message too long to avoid boring your followers. When you want to pass the same message across severally, always find a variety of ways to do that. Conclusively, twitter marketing has been a method I use often and this has been help my services. I know you have one or two things you want to add through the comment zone, your comments are happily welcome. Please before you take your leave, endeavor to share this post with your friends and followers on social media. “Sharing is caring” Thanks. Enter your best email for latest update! Submitting Your Email Address Below. Allbloggingcoach is a technology blog that focuses about knowing the rudiments of success in blogging, Blog tips, SEO, Make money, social media markting and Information technology. Our articles are written by real life geeks and seasoned authors.